Part story, part game, all mighty adventure! A cult game-in-a-book from the series that invented it all. Pick a mission, roll a dice, make your choice. 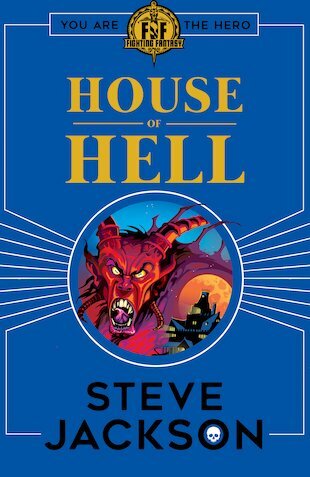 Every move you make could be your last… Taking refuge in the infamous House of Hell may be the worst mistake of your life. The dangers of the storm outside are nothing compared to the blood-curdling horrors inside. Ghosts, zombies, skeletons and terrifying monsters – plus a den of demon worshippers. Will you be one of their sacrifices? Step up, hero: it’s time to fight!